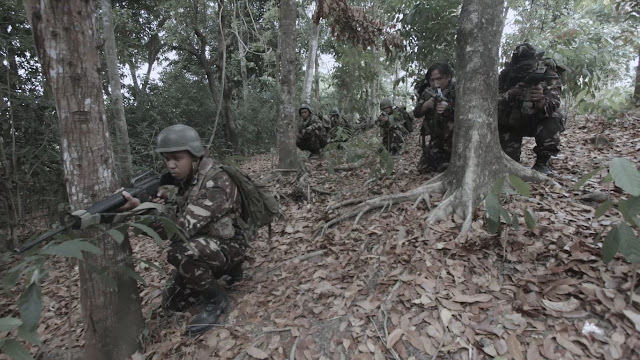 An elite team of Scout Rangers track down lawless Islamist elements in the Southern tip of the Philippines. In the middle of this conflict, two Muslim brothers are caught up in their own Holy Wars. A young Muslim scholar, Omar, has followed his brother Jamiluddin's footsteps into radical Islam. Unbeknownst to him, Jamiluddin has turned Government informant. Jamiluddin agrees to take the Scout Rangers, led by Sgt. Calayan, to the terrorist camp so he could take his brother away from the warzone. As Sgt. 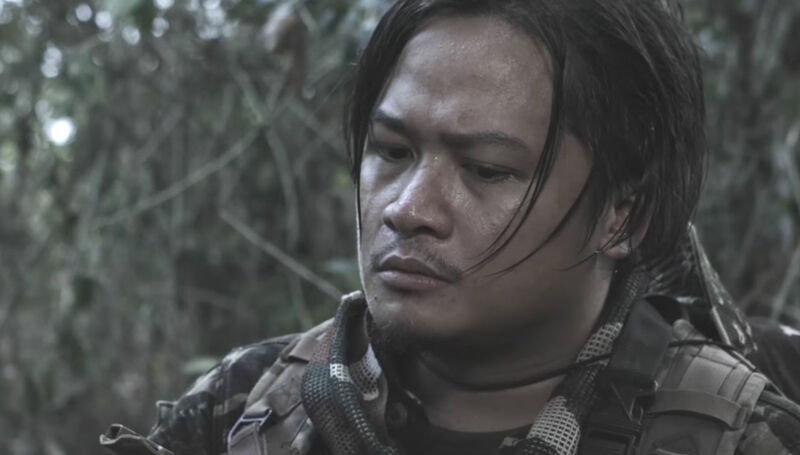 Calayan and his team close in, Omar becomes aware of Jamiluddin's betrayal, which leads to dire consequences for both the Scout Rangers and the terrorists. "Ang Araw sa Likod Mo (The Sun Behind You)" is a story about the heroism, redemption, and sacrifice of all sides of the conflict. From Military to refugee camp, a 4-decade old war is brought to light and casts a shadow to the question of what exactly we are fighting for, and who. In one scene in Dominic Nuesa’s Ang Araw sa Likod Mo, a team of soldiers arrives in an abandoned playground now overrun by weeds and other signs of decay. The team’s medic (James Lomahan) then starts to lament, plainly explaining how the region ended up in such strife. The Muslims should be here. The Christians should be there. The military shouldn’t be there. He rambles on as he and his comrades make their way out of the sordid reminder of the now distant innocence that was shattered by the staggered war caused by division. 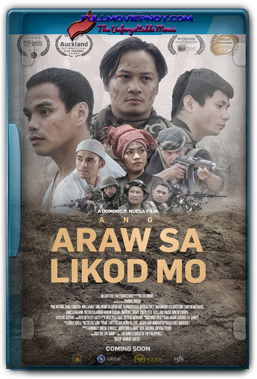 Like the medic’s explanation of the cause of conflict in Mindanao, Nuesa’s film is condensed, perhaps to a fault. It grants but a mere glimpse of the experiences of direct participants of a war whose beginnings have been muddled by the passage of time and the evolving intentions of those in power. Cinema will never be able to fully portray its complexities. As art, it can be surmised to present its issues as filtered by motivations of the artist and the biases the artist’s motivations naturally dictate.